SINT MAARTEN (OYSTER POND) - Rice Hill Gardens Development is pushing ahead with providing residential land options for the community. Rice Hill Gardens completed this week the infrastructure works for Phase 3A of its housing development located on the way to Oyster Pond. The works included all access roads to lots in the currently available section, sidewalks, underground cables, all water and electricity connections and TelEm exclusive fiber optic cable. Windward Roads Infrastructure N.V. executed all works. Independent Consulting Engineers supervised the residential project. On October 1, 2018, Rice Hill Gardens decided to make a substantial investment by starting construction of its Phase 3A given the demand for private lots in a safe and secure gated community after Hurricanes Irma and Maria, Rice Hill Gardens Development Managing Director Astrid Plantz. That construction was completed this week. Fourteen of the originally offered 18 residential lots in Phase 3A are still available for purchase. All lots have elevated views of the surrounding valleys and out to the ocean. “Constructing on the lots is Rice Hill does not require extensive excavation. All of our lots are moderately sloped or not sloped at all,” explained Plantz. The exclusive gated community has lots starting at US $125,000. There is a 10 per cent discount special available to potential buyers. This special is only available until April 30 and must be locked in with a purchase agreement by that date. There is no requirement to build on the lot immediately. This enables buyers to invest in a private lot at a time prices may be at its lowest and build whenever they are ready, said Plantz. Buyers are responsible for constructing their own residence. Phase 3 of Rice Hill Garden will be constructed in three parts - Phase 3A (the current section), 3B and 3C. The next two sections will come online in the near future. 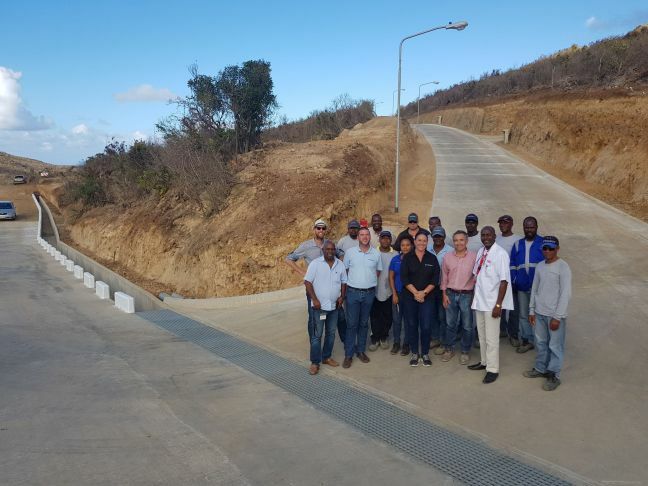 Phase 3 infrastructure was designed in collaboration with Pream Architects, engineered and supervised by Independent Consulting Engineers N.V. (ICE) and construction by Windward Roads B.V.
SINT MAARTEN (PHILIPSBURG) – Member of Parliament (MP) and leader of National Alliance (NA) Silveria Jacobs, recently sent a letter to the Council of Ministers CoM) and one to the Governor to express her concerns regarding the status of the “Initiative National Ordinance Amending Article 50 Sub 2 of the Permit Ordinance regulating the legal age sale of alcohol,” which was approved unanimously by the Parliament of St. Maarten since November 22nd, 2018 with the cooperation and support of the TEATT Minister Mr. S. Johnson and the Ministry of TEATT. Since then, upon inquiry via Parliament at the office of His Excellency the Governor of St. Maarten, drs E.B. Holiday, MP Jacobs shared that she has ascertained that the aforementioned draft amendment was sent to the Council of Ministers (CoM) for their advice moving forward towards enactment. Seeing that the Minister responsible for the enactment of this amendment was in attendance and gave his public support for it, MP Jacobs is perplexed as to why the enactment has not been given the green light by CoM in order that the official signing by the Governor and Minister can take place. MP Jacobs is of the opinion that this amended legislation, once enacted and properly publicized, should assist TEATT inspectors, police officers and the community to be vigilant in the upholding of it, thereby protecting our young citizens and effectively fining those who deem it acceptable to sell or serve alcohol to minors. The signage of the past years by the Lions Club already played a great role in this, and this can be built upon now that penalties can be enacted as a deterrent as well. MP Jacobs goes on to highlight the fact that the carnival season is upon us, and already the many tales of excessive negative behaviors in the streets by our youth are being heard. MP Jacobs strongly believes that access to and consumption of alcohol, parental apathy, ignorance as well as a culture of acceptance within our society, among other influences play a role in this. This is another law which should be heavily publicized and enforced in order to inform parents of their responsibilities in keeping their under aged children out of “jump-ups”. This law has been in existence for decades, yet the population is wholly unaware of it for the most part. Awareness is an important first step. Enforcement of the law, with a few prime examples of holding those caught until parents pick them up, or fining parents of those held, will surely serve as a deterrent as well. Even if the police is not able to get all youngsters out of the “jump-ups” it would be a great start, says the MP. MP Jacobs would like to see the reach of the DCOMM radio station 107.9FM, social media and daily newspapers all be used to promote parent and youth awareness and the possible repercussions of these two laws geared at protection of our youth which are closely related to inappropriate behaviors being exhibited in great numbers by our youth, especially during this time. MP Jacobs believes the initiative has been launched and it is important that all relevant and impactful parties join the movement to protect our youth and future of this country! MP Jacobs appeals to the Council of Ministers to make this a priority and take swift action to highlight this law in the community. She is committed to doing her best to bring awareness to this cause and will do so regardless. However, support within the law already approved by Parliament, and support by our executive branch of Government would go a long way in bringing it across to the population as was done with the Zero Tolerance campaign. SINT MAARTEN (PHILIPSBURG) - United St. Maarten Party (USP) Member of Parliament (MP) Rolando Brison has initiated a draft national ordinance that would facilitate government with a way to sell the remaining minority shares of UTS before risking the dilution of the value of these shares. The assertion of the Minister Justice that the sale of UTS has to be in the budget in order for it to go through is very far from the full truth. 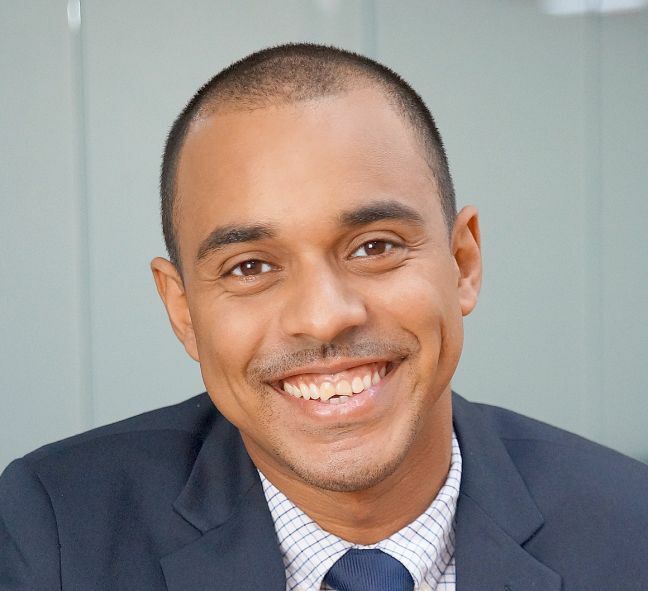 While having the sale of the minority shares of UTS that St. Maarten owns listed in the budget is one way that the sale can get approval, there are other much more expedient methods. Article 46 sub 3 of the National Accountability Ordinance allows for the Minister of Finance together with the responsible Minister to enact a National decree, empowered by National Ordinance, to tell shares of companies. The budget is only one such ordinance. Another way would have been for government to initiate the law in its own Draft National Ordinance and send that on to parliament, but it has been over a year since this government was sworn in and nothing was done. The final way is for MP’s to pass the law by the initiative of one of its members, which MP Brison has done with his draft initiative law. This is the second legislative document the MP has initiated just 1 year into his tenure as MP, though the first to make it to the first major step by being sent to the Council of Advice. The other legislative item is the Mullet Bay Parliamentary Inquiry which the MP has submitted, which is titled ‘Giving Mullet Bay Back to the People” in living up with his campaign promise. He also noted that MP Richardson, Leader of the USP, is continuing to work tirelessly on the Plastic Ban Law, which has already received advice from the Council of Advice. “USP is working very hard for the legislative goals of the country. MP Richardson plastic ban law should be with parliament soon, and the Mullet Bay Parliamentary Inquiry has been finalized to be submitted before the end of this month. USP will continue to keep the public informed about its legislative goals,” stated MP Brison. SINT MAARTEN (POND ISLAND) - St Maarten was recently removed from the International Aviation Safety Assessment (IASA) list on which it was previously listed as a Category 2 (CAT 2) Country. St Maarten's removal is based on their being no current St Maarten airline servicing any United States destination, neither has there been a codeshare agreement with any US carrier and a St Maarten airline for four years. It is standard under such conditions for the International program and policy division of the Federal Aviation Administration FAA of the United States Department of Transportation to remove countries from the list, whether they are CAT 1 or CAT 2. This policy was adopted by the FAA to improve the quality and accuracy of the program and the IASA list. According to the head of Civil Aviation, Shipping and Maritime Louis Halley "Curacao was downgraded to CAT 2 after failing its audit. At the time, Insel Air was also not flying to the United States. Since some of the responsibilities for St. Maarten's aviation service were being executed in Curacao after 10-10-10, while St. Maarten was establishing its own Civil Aviation Authority, we were automatically downgraded to CAT 2." Halley said St. Maarten's removal from the IASA list does not mean that its score was changed the United States. What this means for St Maarten based airlines is that the prohibition of flights into the United States will remain until we are reassessed and receive a satisfactory score of CAT 1. He said, "The ability for our local carriers to engage in reciprocal code sharing exercises between American carriers is a critical component of our ability to expand the hub function of the Princess Juliana International Airport. Once the department performs its internal checks and balances I am confident that they would be able to pass the FAA examination and St. Maarten can be restored to a CAT 1 destination." It is crucial for the Civil Aviation stakeholders in St Maarten to know that the Department of Civil Aviation and the Ministry of TEATT remains committed and are diligently working with its partners in the Kingdom of the Netherlands to address the deficiencies. The Department of Civil Aviation will take all the corrective actions and/or measures before the end of 2019 after which it will request an audit from the FAA so that St. Maarten can to be restored as a CAT 1 Country. Once this is done, St. Maarten airlines will have the opportunity to fly into the U.S. or to engage in Code-Sharing agreements with U.S. Airlines to facilitate visitors travelling thru St. Maarten to the U.S.
SINT MAARTEN (PHILIPSBURG) – “We hereby inform you that our distribution network suffered a major interruption yesterday, April 9, 2019,” NV GEBE said in a statement on Wednesday. “The interruption, after a brief investigation, was determined to have resulted from a technical challenge in the transmission cables. 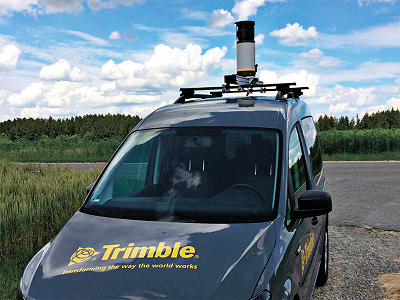 “The overview of the job and the estimated repair time called for the immediate redirection of cables. The Production Plant was alerted, and cables were rerouted on the instructions of the technicians charged with the responsibility of resolving the problem. “The lead technicians Vincent Ellis, Albert Fleming, Sheffield Busby, Marlon Rombley, Sergio Milton and Andre Milton, along with Assistant Distribution Manager, Ramiro Hernandez worked until late last night to ensure that problem was rectified, and that electricity was restored to all neighborhoods. The last cable was switched in at 21:52 pm. SINT MAARTEN (SIMPSON BAY-AIRPORT) - In 2017, Winair’s Sales, Customer Service and administration offices at the Princess Juliana International Airport (PJIA) were destroyed. Everything, including the Hanger and Warehouse was mere rubble after hurricanes Irma and Maria left their devastating mark on St. Maarten. This devastation was similar for several other islands in the Caribbean where Winair flys. Yet, despite their personal challenges including loss of property, and for some totally or partially damaged roofs or being without water or electricity, Team Winair banded together and started cleaning the debris. What followed after was the planning and preparation for a temporary location, and the reconstruction of the Airport facility. 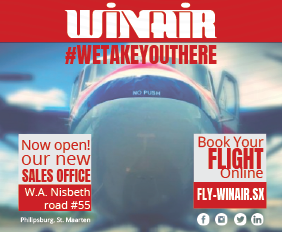 Within six weeks of the worst natural disaster in St. Maarten’s history, Winair opened a Sales Office on the Walter Nisbeth Road in Philipsburg on October 27, 2017, and started accepting customers. People who wanted to travel abroad or get their family home now had a point of contact with Winair. Today the airline boasts four aircrafts each with a 19-passenger capacity and its Headquarters is completely rebuilt to modern standards with a Hanger and Warehouse space to add to its improved Sales and Customer Service offices. Minister of Tourism, Economic Affairs, Transport & Telecommunication (TEATT) the Honourable Stuart Johnson recently visited the facility at the Airport to get a firsthand look at Winair's progress. Following that visit, Johnson said he was very optimistic about the future of the airline. "What I saw and based on the future plans which I know are being worked on by the Winair Management and Team, I am confident that Winair will be a force to be reckoned with in the Caribbean. It already offers ease of connectivity and the airline's future plans include increased travel options for its customers at competitive rates with excellent service." These plans are consistent with "The Governing Program 2018 - 2022 of the St. Maarten United Christian Democratic Coalition which speaks directly about the need to consider Winair as our National Airline. Johnson said, "Today we see significant improvements in the airline's operation and its bottom line. As we continue to rebuild our Tourism product Winair's role will become even more critical. We already depend on the airline to provide a substantial portion of our airlifts to the neighbouring island which is in line with the hub function of PJIA." He said, "This service benefits the PJIA and improves the islands economic activities as it offers neighbouring residents the ease and convenience of daily travel to and from our island." According to Johnson the work being done now by Winair’s Management Team led by its CEO gives hope for increased airlifts through the possibility of offering interline connections in the future to larger airlines. “I must commend Mr Cleaver and his Team for an excellent job in restoring the operations of Winair at the Airport and quickly regaining ground post-Irma,” said Johnson. According to Winair Chief Executive Officer Micheal Cleaver, the plan is for a soft opening of the newly remodelled Sales Office at the Headquarters on #69 Airport Road by April 15, 2019, to accommodate customer sales and reservations and internal administrative functions. Projections are also positive for the grand opening of the facility which has been set for May 15th, one month later. Cleaver said the new Sales Office would offer three service positions, comfortable seating for eight, customer restroom, reception and an information desk. The preparations for the grand opening including the installation of the final pieces of furniture are ongoing. Cleaver said Winair will keep its Philipsburg branch opened indefinitely as it "fulfils a need for Winair’s customers in Philipsburg and surrounding districts." Both sales offices have ample space for Customer parking, and the airline has improved on its aesthetics to benefit the customer experience by offering a coffee corner, water cooler and entertainment/tv for waiting customers. Some new additions to its service offer will include 24-hours advanced check-in at Walter Nisbeth Road. This service will be completed within the next 120 days. Once this is finalised, travellers can check-in at Winair's office on W.A. Nisbeth Road one day in advance. This service includes checked bags, and issuance of boarding passes. Travellers can then proceed to their respective gates on the day of departure. Cleaver said Winair continues to strive for improvement in its services. 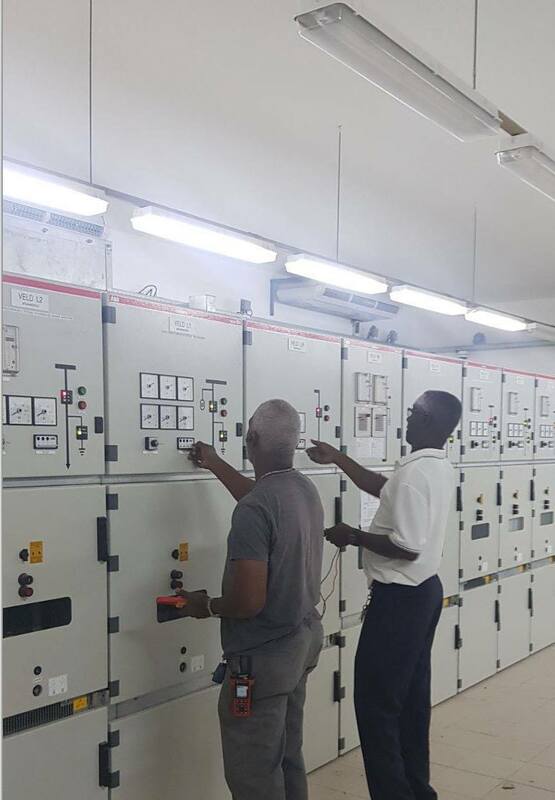 "We thank our employees for their dedication and hard work, which provided Winair with the opportunity for expansion where it was economically viable.” We also thank Pharo Construction, St. Maarten Dry Wall, Electec, Dontel, Caribwork IT, who have made our recovery a reality," said Cleaver. Customers of Winair can look forward to a “major promotional sale" which the airline will announce during the week of the grand opening of its Airport office. Meanwhile, everyone is encouraged to contact their regular travel agents or visit the Winair sales offices to inquire about future travel. You can also log on to Winair's website at www.fly-winair.sx for more information. Please note that the soon to be announced special sale will only be available at the WINAIR sales offices. At present Winair has a wide range of flight options to neighbouring islands. The airline offers two daily flights to Antigua, St. Kitts and Tortola. Commencing April, 15th Winair will offer one daily service to Aruba, and five weekly services to Bonaire (via Curacao). Winair also offers a daily service to Curacao from St. Maarten, five weekly flights to Dominica and Guadeloupe, two weekly flights to Haiti and Santo Domingo from Curacao (commencing April 15th). 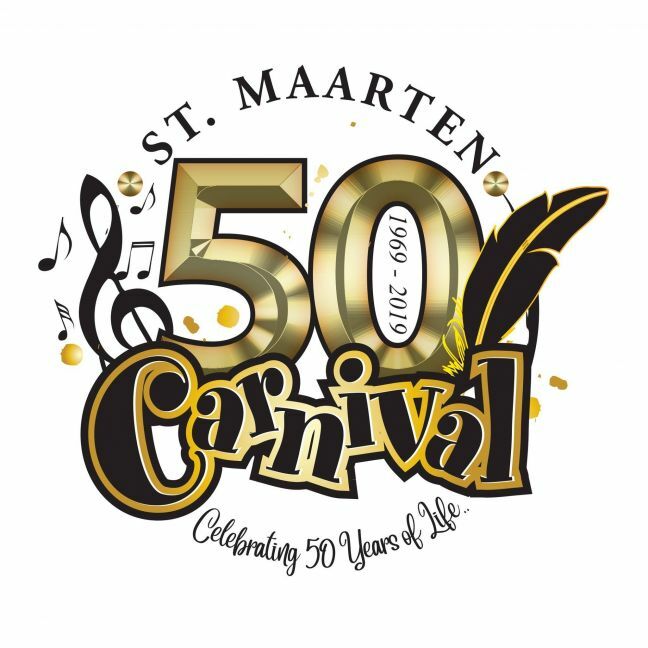 There are also three weekly direct flights to Nevis, 4 daily flights to Saba, 4.5 daily flights to Statia, six weekly flights to San Juan Puerto Rico, five weekly flights to Santo Domingo from St. Maarten, one weekly flight to Haiti from St. Maarten. Those travellers hoping to visit St. Barth have 15 daily flight frequencies. For flight information and bookings, please contact your favourite travel agency or visit Winair online at www.fly-winair.sx. SINT MAARTEN (PHILIPSBURG) - “Failure at negotiating, selling out the country, failure at delivering promises, unable to govern properly, taking everything personally and, by their own words, fooled by the Dutch in the aftermath of Irma.” This is how the board of the United St. Maarten (US) party on Monday described the government of the United Democrats (UD) and Christian Party coalition. 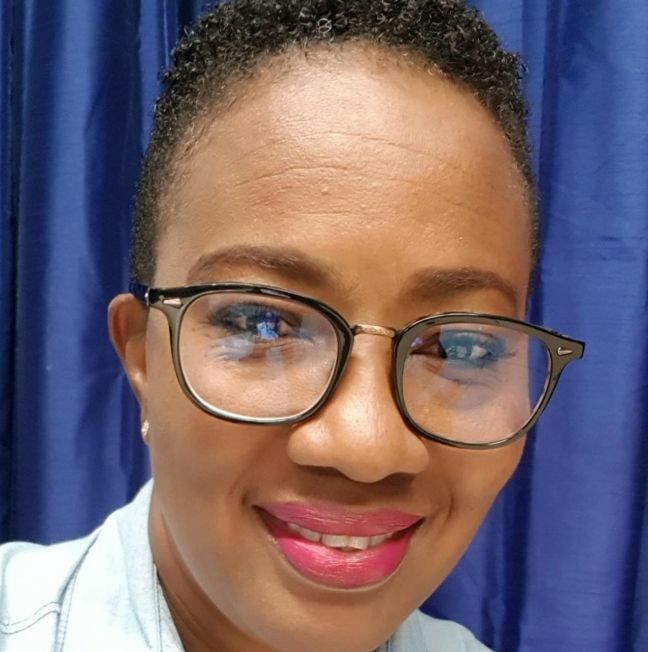 The “craziness” is beyond the pale with this coalition, the USP board said, adding that the people of St. Maarten deserve better than non-stop episodes in a sad soap opera called the UD/SMCP Coalition. “The Prime Minister is not telling the public about roofs, she is not telling us about recovery or about the airport, she has avoided pertinent questions. But finds the time to stat an investigation about a leak of information she should be sharing anyway.” The statement went on to advise the Prime Minister to save tax payers money and simply look at her own Minister of Finance as a possible leak. 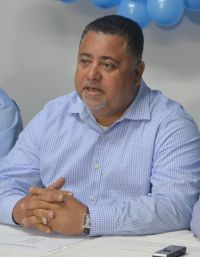 It was the Minister of Finance, the USP board said, who commented on the failed meeting of the St. Maarten delegation with the bondholders of the airport. “Total and complete failure at negotiating is what the Prime Minister was trying to hide from the people of St. Maarten. Now, to cover that up or to try and deviate, the Prime Minister commissions an investigation into trying to find a leak. The Prime Minister is doing her already low reputation with the Civil Service no favors with such an investigation and wasting precious time and resources. The Prime Minister on Tuesday morning said on radio that if a person is found to have leaked information they could possibly be fired or locked up. We dare say then the Minister of Finance is in serious trouble,” the USP said. The USP used the opportunity once again to press home its point regarding any form of financial assistance coming from the Netherlands. “It is stull blackmail, no matter how you twist and turn it. By the time the government in The Hague is done with imposing conditions on St. Maarten in return for assistance and support, the island will essentially be completely taken over by the Dutch. We wonder how much longer the so called “patriots” of the governing United Democrats (UD) and Christian Party coalition tolerate what is happening. And if you are willfully tolerating it, then you might as well tell the people the truth that you are giving away their country,” the US party board said.